There is so much pressure to be unique and individual on Instagram in 2019. But with the whole world competing for attention, is originality even possible anymore? Do original Instagram ideas exist? 20 years ago, you’d look at an image of the Northern Lights and be amazed. Nowadays, you don’t even double tap to like, you just swipe up. Close up of a selfie with a shark, seen it. House built on top of six-foot-high tree trunk, not another one. 50,000 balloons flying across a sun-soaked sky, meh. There’s a growing number of people who are becoming increasingly disillusioned with the pictures on Instagram. The trouble is, in the 9 years since Instagram launched, most people have seen every inspiring, beautiful or emotive image from around the globe a million times already. 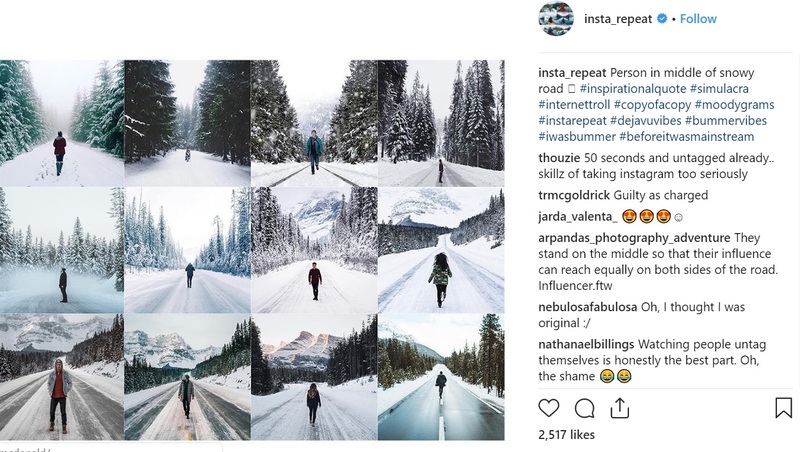 Everyone wants to stand out and do something different because creativity and uniqueness are more or less demanded on Instagram, but the problem is that there’s no such thing as originality on Instagram, or anywhere else for that matter. 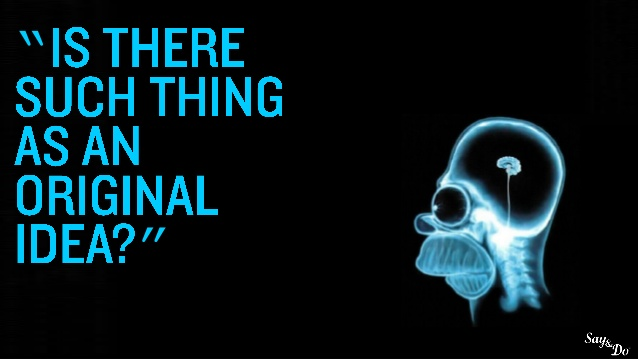 The acclaimed American writer Mark Twain argued that there is no such thing as an original idea. Twain recognised that creativity doesn’t happen in a vacuum because every idea is born from the ideas of others (whether we are aware of it or not). Do I need to be original on Instagram? So, if we understand that all of our ideas are recycled, that they are coaxed out or stimulated only by the ideas of others, then that understanding takes away a lot of the pressure of trying to be original. Phew! The truth is that you don’t need to be original to succeed on Instagram. You just need to be willing to experiment a bit with creativity. There’s absolutely nothing wrong with taking an “original” idea and giving it your own stamp so to speak. In fact, many people with extremely successful Insta accounts are putting out finely tweaked content that is remarkably similar. This is not necessarily because they are outright copying, (though there are of course copycats out there – you know who you are) but rather because people often have similar ideas. One Alaskan-based female artist has drawn a huge ammount of attention to the lack of originality on Instagram. If we study the images, we see that there really isn’t much variation between them at all. Sometimes the person is shown walking towards the camera and some times away from the camera, and the distance is ever so slightly different, but every image shows a single person, trees, a road and snow and each one evokes the same sort of theme or feeling. Instagram and social media, in general, has made so many locations and photographic techniques and styles commonplace, resulting in ready-made filters being made and applied by everyone, so it can be incredibly difficult (and in fact almost impossible) to be truly unique. The insta_repeat account shows us this, it demonstrates (quite brilliantly) that great minds often think alike. Why else would 120 unrelated people take a picture of themselves in a canoe? 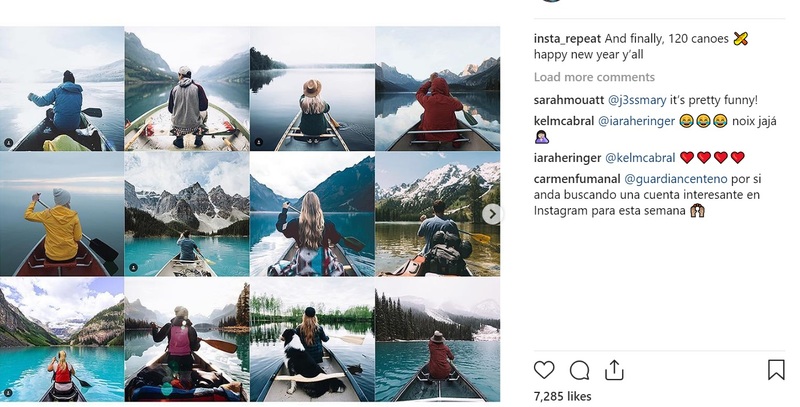 Despite what a lot of people think, the fact that everyone’s feeds are starting to look the same on Instagram says more about the human species and how similar our thought patterns are than it does about how many lazy copycats there are out there. Is it ever ok to copy stuff that I can see works well on Instagram? 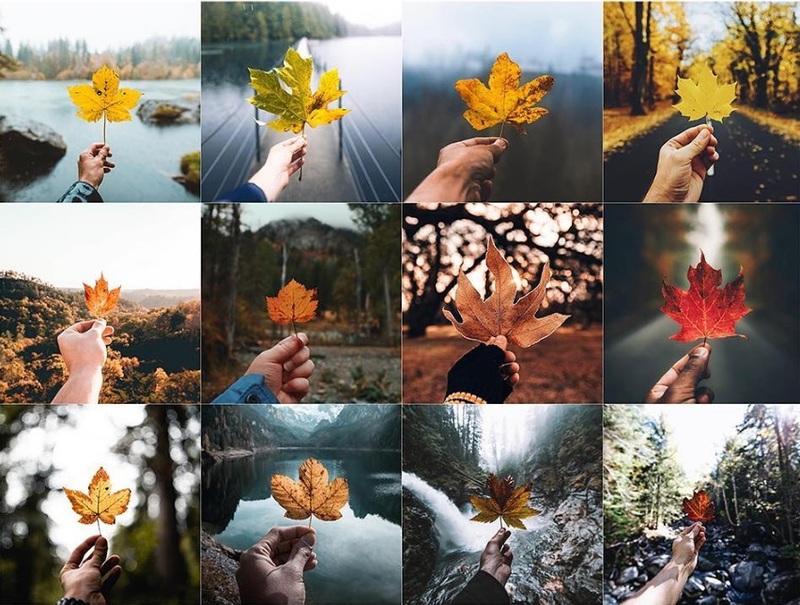 We should also remember that when we see the same repetitive images on Instagram, we are more often than not witnessing what works (i.e what sort of images get the most likes, comments and shares). So we shouldn’t be afraid to post something that has been proven to generate engagement just because someone else has already posted something similar. I’m not suggesting that anyone should ever outright copy anyone else’s shots, that’s just plain wrong. But, if you see a picture on Instagram and you’re inspired to create your own unique and or twisted version of that image, then I don’t see the harm in that at all. Because, since Mark Twain suggested, all ideas are born from the ideas of others, no one can ever be truly original and creative on Instagram. Remember too, that each influencer has a niche audience, and so even though similar content exists on Instagram, your specific audience may not have been exposed to it. So who’s to say whether they will find it inspiring and interesting? We are all creatures of habit. When we visit a popular tourist destination or a particularly interesting location, we all take a similar photo, because that’s the done thing. Should people be discouraged from sharing their own photo of this rock just because of the fact that other people have already posted a picture of themselves with it? If everyone did that, there would simply be nothing at all left to post on Instagram! It’s important to recognise that there are some positives in the repetitive nature of Instagram. Building and improving upon other people’s ideas is fundamental to the evolution of any art form, whether it’s sculptures paintings or, as an Instagram’s case, photography. insta_repeats 27-year-old creator (an artist and filmmaker who prefers to remain anonymous) Acknowledges this. She claims that she isn’t trying to judge anyone on Instagram. She merely wants to draw attention to the homogeneous nature of Instagram content. We have updated! 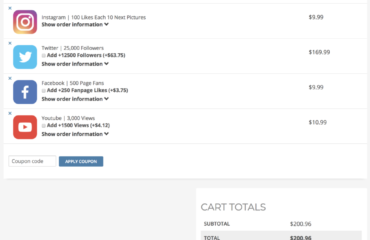 – Bitcoin payments, Cart and new User interface have been implemented. Why It’s Important for Businesses to Make Use of Social Media?